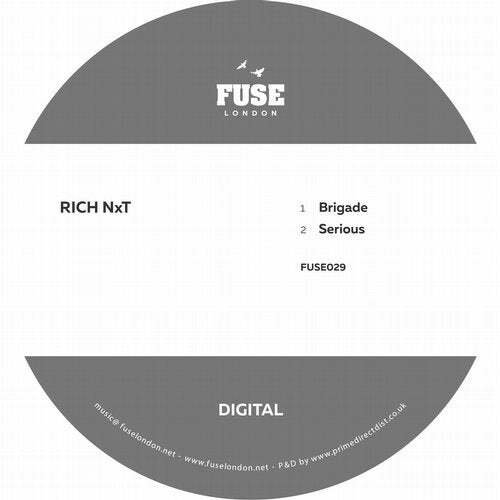 Rich NxT returns to Fuse London for his 6th solo EP and it is perhaps his most crucial and striking material yet. These tracks have been destroying parties around the globe all summer - from daytime to nighttime, club to warehouse, all three are certfied bangers. From the ridiculous baselines of Brigade, the beatuifully uplifting vocal of Serious and the effect of the synthesis between natural and artificial drum sounds on Eight, each track combines moments of twisted raving with crystal clear breaks and heavy drops.